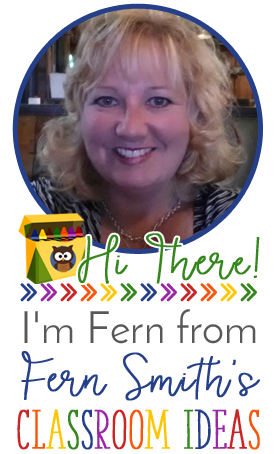 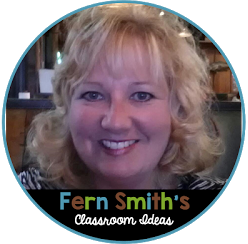 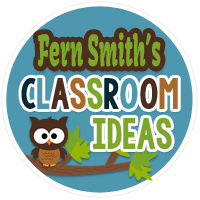 Fern's Freebie Friday ~ Fall Time Task Cards - Fern Smith's Classroom Ideas! 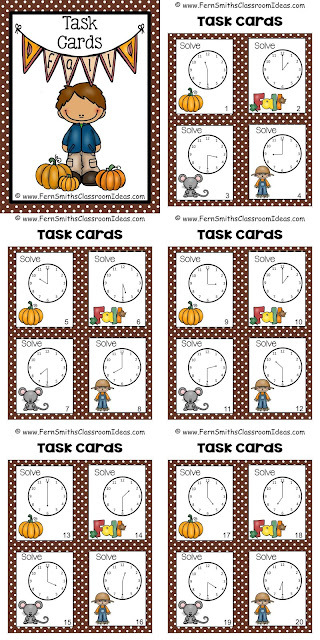 Just in time for back to school and autumn, Fall Time to the Hour and Half-Hour task cards. 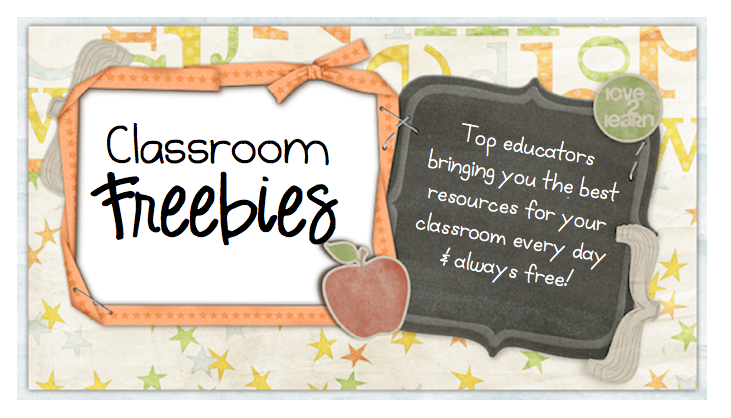 →20 Task Cards in color. 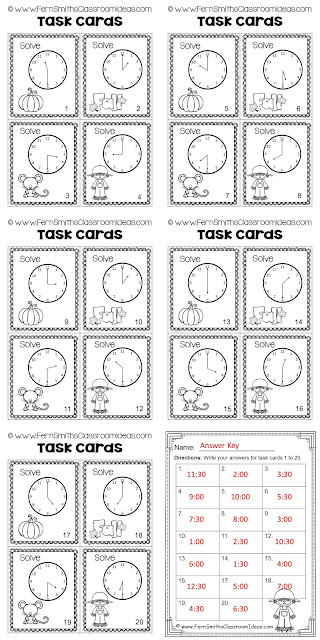 →20 Task Cards in black and white. 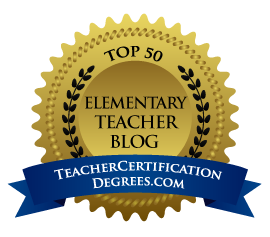 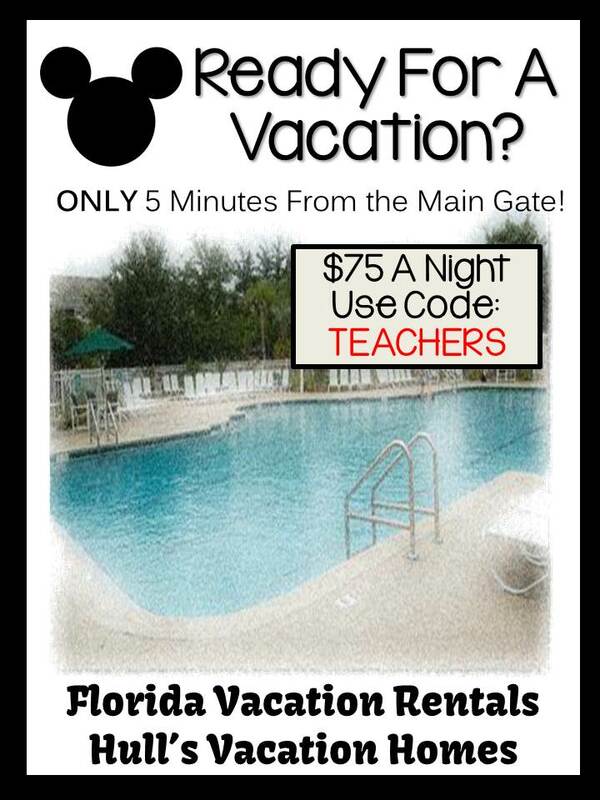 Perfect for a sub tub, homework or a Parent Math Night. 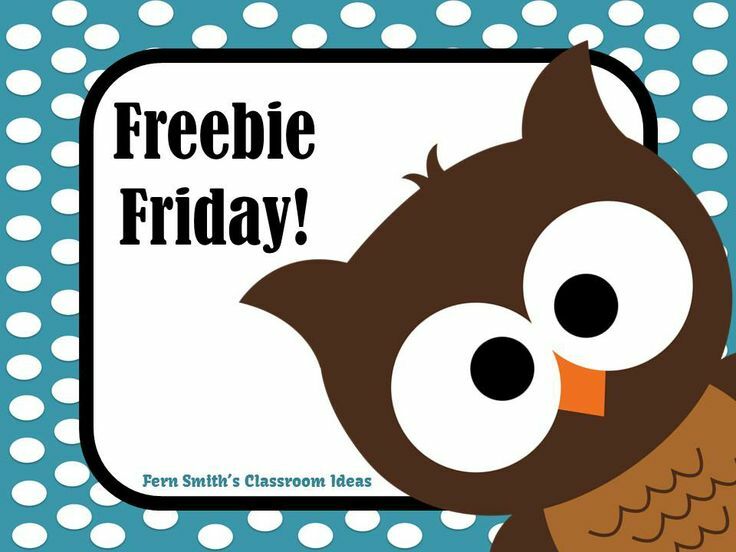 Would you like another Freebie Friday? 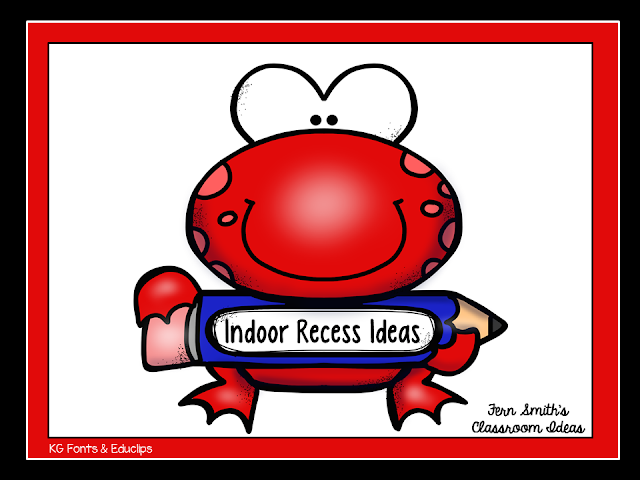 Click here or on the FROG to get Free Indoor Recess Printables!